JetBlue Airways plans to introduce its Mint premium transcontinental service on its routes linking Boston with San Francisco, Los Angeles and Barbados. New York-based JetBlue Airways also plans to launch new service linking Nashville with Boston (making the Tennessee city the 60th destination it serves from its Boston hub) and its U.S.-Caribbean hub at Fort Lauderdale Hollywood International Airport. Additionally, JetBlue has decided to increase its service frequencies on 14 existing routes linking Boston with U.S. and Caribbean destinations. JetBlue will start offering its Mint service between Boston and San Francisco from March 2016, with up to three daily round-trips. Bookings will be available on jetblue.com beginning on July 8. The airline plans to launch its Mint service between Boston and Los Angeles in the fall of 2016, with up to three daily round-trips. JetBlue plans to offer Mint seasonal service to the Caribbean beginning in March 2016, with a weekly Saturday round-trip between Boston and Barbados. The airline will operate all its Mint flights to and from Boston with new Airbus A321 aircraft. 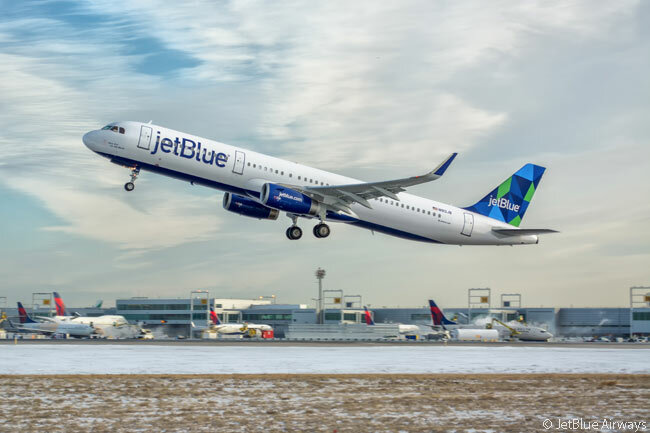 JetBlue expects to begin serving Nashville International Airport (IATA code BNA) daily from Boston Logan International Airport (BOS) in the spring of 2016. Seats on JetBlue’s new route will be available for purchase this summer, according to the airline. The carrier also plans to launch its daily Nashville-Fort Lauderdale service in spring 2016. Connecting Nashville with Fort Lauderdale will play a part in the airline’s growth towards 100 daily flights at FLL, in order to meet increasing customer demand in South Florida, according to JetBlue, which expects to begin making seats available for purchase on the route this summer. 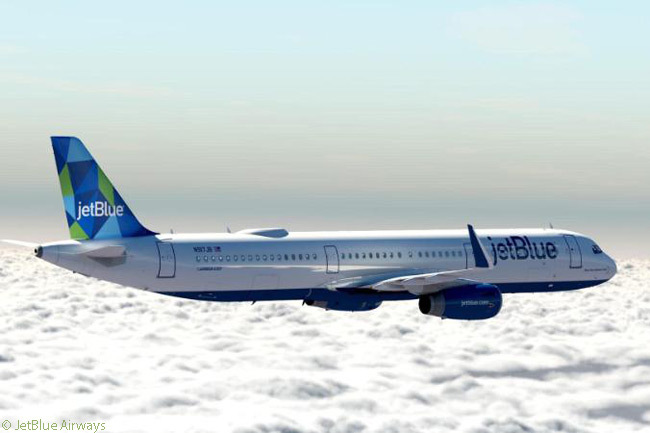 JetBlue Airways will operate all its flights to and from Nashville with Airbus A320 jets. The airline’s planned schedule expansion from Boston includes increasing the numbers of flights it operates each day to U.S. destinations Orlando, Fort Lauderdale, Tampa, San Juan, Raleigh-Durham, New York JFK and Cleveland. JetBlue also plans to operate additional weekend flights between Boston and Barbados, Aruba, Cancun, Turks and Caicos, Punta Cana, St. Maarten, and Liberia in Costa Rica. 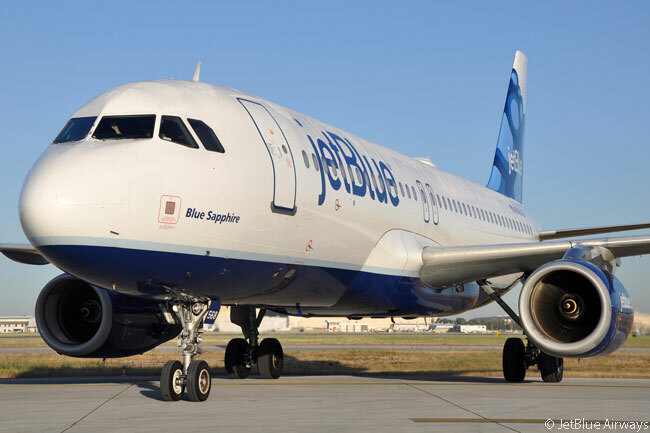 The carrier’s planned additional services linking Boston with Barbados and Liberia are subject to JetBlue Airways receiving required governmental operating authority for the flights. In January 2016, JetBlue plans to offer an average of 118 daily departures from Boston in its winter schedule and up to 140 daily departures in its summer 2016 season. The airline operated an average of 54 departures a day from Boston in 2008 when the airline began growing its presence significantly at the Massachusetts airport.